Synthesizing multiple metamorphic movement modalities, the Emily Athena Performance Collective is a dance theatre experience that transcends categorization. Upon earning her BFA in Contemporary Dance from The North Carolina School of the Arts, Emily joined Ashland’s own Dancing People Company as a founding company member. After many years with DPC, she joined Seraphim Dance Theatre, expanding her repertoire to include fire dance, belly dance, and circus. 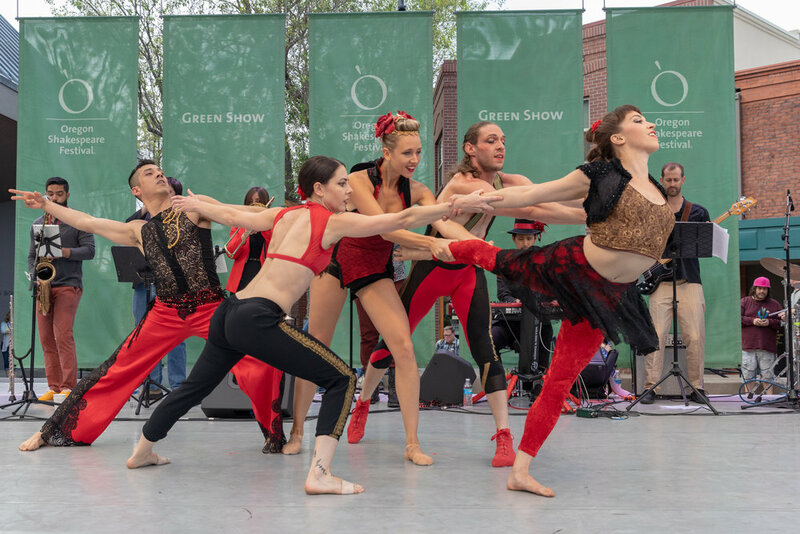 With both Dancing People Company and Seraphim, Emily enjoyed many summers performing at the Oregon Shakespeare Festival Green Show. In the San Francisco Bay Area Emily performed with The Vau de Vire Society circus where she began making many memorable collaborations with Jazz Mafia. Upon returning to Ashland, her newest endeavors include creating eclectic performance experiences under the Emily Athena Performance Collective and helping people move out of pain and dysfunction in her private practice. Emily is available for performance, choreography, teaching, or rehearsal direction. CONNECT with her for inquires.